Flight-to-safety boosts the precious metal. Wall Street falls sharply as geopolitical tension weighs. US Dollar Index drops below 97 following mixed data. 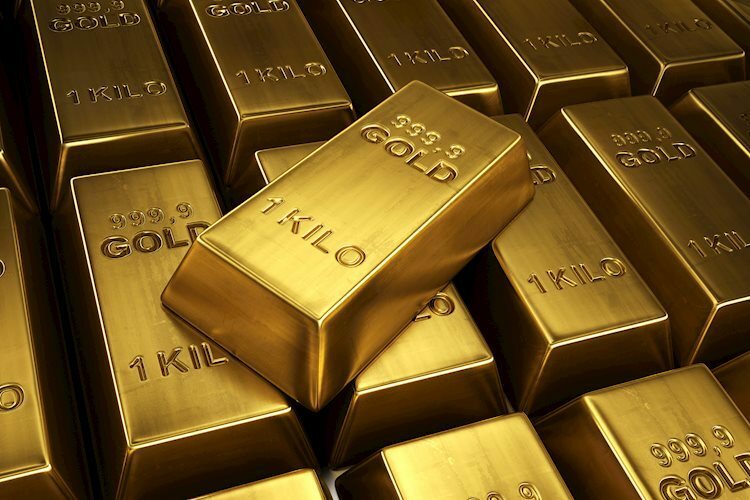 The XAU/USD pair gained traction and rose sharply in the NA session as the precious metal gathered strength against its rivals amid stronger demand for safer assets. After touching its highest level since mid-July at $1244.40, the pair staged a technical correction and was last seen trading at $1241, where it was up 0.33% on a daily basis. With the latest developments surrounding the Chinese tech-giant Huawei's CFO's arrest in Canada, concerns over the U.S. and China failing to reach a trade agreement at the end of the 90-day truce period escalated and forced global equity indexes to suffer heavy losses. After starting the day sharply lower, Wall Street extended its slide to reflect the dismal market mood. At the moment, the Dow Jones Industrial Average and the S&P 500 were both losing more than 2% while the Nasdaq Composite was down around 1.7% on the day. On the other hand, the US Dollar Index reversed its course during the NA session following the mixed macroeconomic data releases and provided an additional lift to the pair. Meanwhile, the sharp drop witnessed in crude oil prices amid a lack of clarity regarding output cuts in 2019 makes it difficult for commodities to stay resilient. US: Private sector employment increased by 179,000 in November vs 195K expected. US: International trade deficit rose to $55.5 bln vs $55 bln expected. US: Markit Services PMI comes in at 54.7 in November (final) vs 54.4 expected. US: ISM non-manufacturing PMI improves to 60.7 in November vs 59.2 expected. The initial resistance for the pair aligns at $1243 (200-DMA) ahead of $1248 (Jul. 12 high) and $1260 (Jul. 10 high). On the downside, supports could be seen at $1233 (Dec. 5 low), $1226 (Nov. 5 low) and $1222 (50-DMA).